You knew that the same people who cried Hosanna as You entered Jerusalem were the same ones who would pick up the stones to judge one another’s sin, and nail You to the cross. You knew we all hide our brokenness under the cover of what we think others want us to be and the pain, shame and agony of holding in our sin & the sin done to us could not be set free any other way. You knew this before You came. You knew this & kept it in the forefront of Your thought as You helped landscape the earth, design the canopy of stars & planets in the skies above, fashion the depths of the ocean floors, hang the sun and moon in place and set the seasons on their annual rotation. You knew the man and woman You fashioned with such care and love would stray and break Your heart, and let sin enter us all, yet You went ahead with Your plan anyways. Because You knew Your bride would be worth it. Honestly God, there are times I don’t get it. Like Hosea, I struggle with the love You ask me to show, yet I know You love me so deeply and permanently, despite all I do. You know all of us this way. And because of this love, hearing the inner cry of the broken we all cry within the secret places we keep hidden, You chose to come and be one of us. To show us how depending 100% on Abba can make a difference in how we can live our lives. To show us just how far Love will go to show the one He loves the enormity of His affection & longing. To show us we never have to be alone again. As we head along the journey once again towards the cross, may we take the time to admit we are the reason He had to head there. 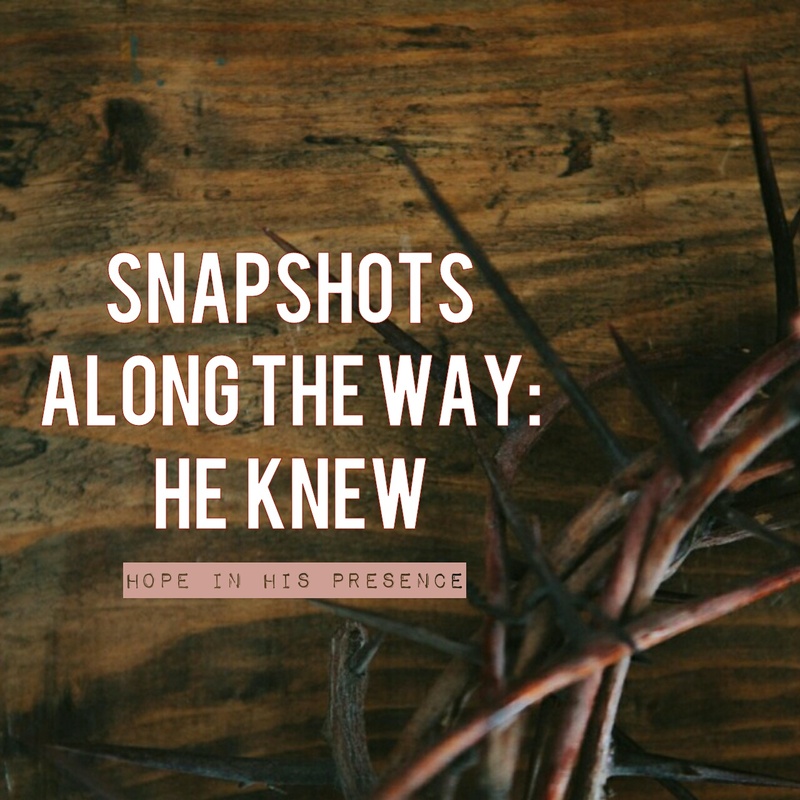 We needed to see His love in action in order to get, to grasp, just how much He loves us.